Connecting your mobile home's plumbing may present some challenges. The most import thing to remember is that a mobile home is prone to much more movement than a traditional home. This makes a difference in the materials used to connect the plumbing system. Connecting the sewage system incorrectly may lead to expensive repairs and uncomfortable situations. A few basic rules apply to the plumbing hook-up of any mobile home. Determine if the mobile home's sewage outlet and other plumbing fixtures are the same size as the corresponding sewage system's waste water pipe and other hook ups. Install the proper pipes, fittings, or adapters to connect the mobile home to the hook-ups if necessary. Install iron pipe or PVC to connect the mobile home to the hook-ups. Consult the mobile home's manufacturer specifications to decide which best suits your needs. 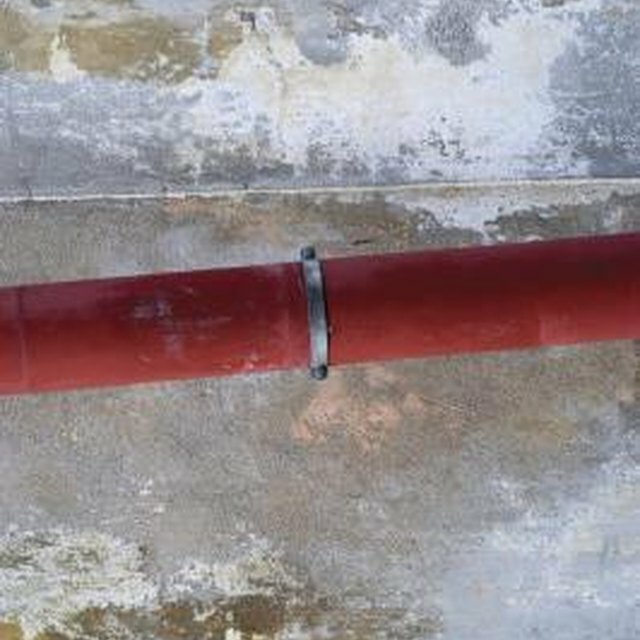 Always slope the pipes in the direction of the sewage system if the ground is not completely flat. Include a removable section to make maintenance easier. Fit the rubber boot over the pipes and use the hose clamps to hold it in place. Make annual revisions of the boot and all other fittings to avoid problems from wear and material failure before they occur. Brace the sewer connection pipes with braces placed under the system or hangars fixed to the underside of the mobile home to reduce stress. Over time, the weight of the sewage passing through may cause the system to fail.